Dirty tile and grout surfaces in your home? Tired of scrubbing dingy tile and grout but not ready to spend a fortune on a complete kitchen or bathroom overhaul. Here’s a simple and affordable way to making old discolored tile and grout new again! 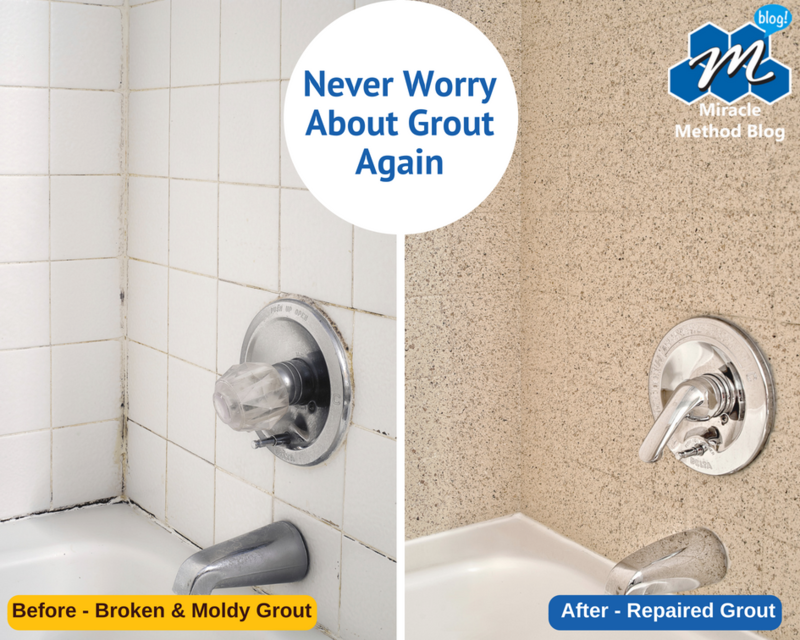 Over time, dirt, mold, and mildew build up and seep into the pores of the surface, making tile and grout in your kitchen or bathrooms unsanitary and difficult to keep clean. At the same time, tile and grout that is old, dingy or even discolored can make your home look very outdated. Before you start tearing out and replacing dingy and outdated showers, vanities, countertops, and tile, consider an affordable remodeling alternative like surface refinishing. Surface refinishing repairs and restores existing kitchen and bathroom fixtures right in place without the mess, hassle and cost of replacement. Not only will surface refinishing return your tile and grout surfaces back to their original clean and beautiful appearance, but it will save you thousands of dollars over the cost of replacement. In fact, most homeowners can save anywhere between 50-75% over the cost of traditional replacement methods. Solutions like tile regrouting and grout cleaning only offer a temporary fix for homeowners looking to fully restore their tile and grout surfaces. Unlike tile regrouting and grout cleaning, tile and grout refinishing allows you to keep your existing tile while making it look like and feel like new again without replacement. 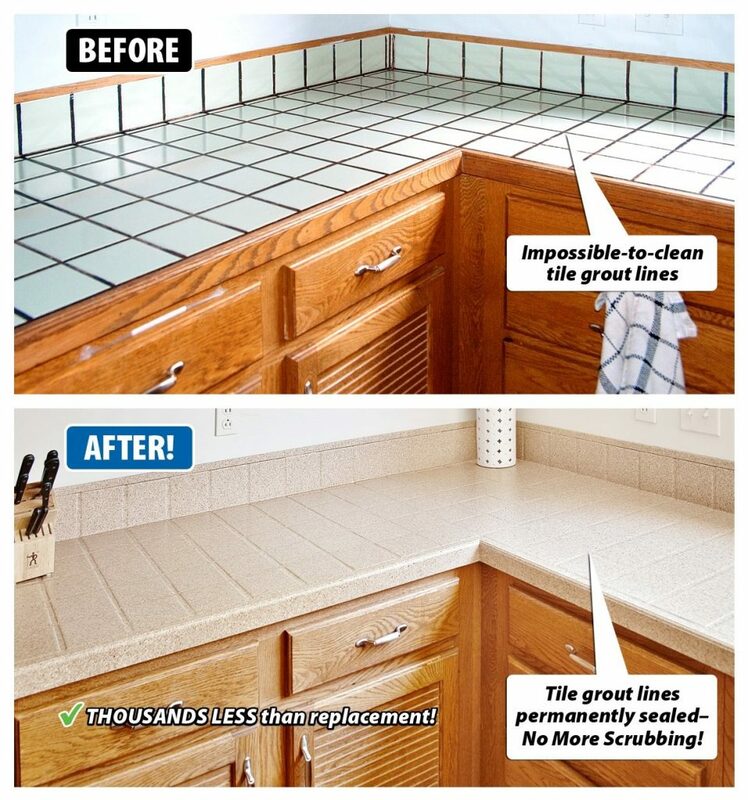 With tile and grout refinishing, you can give your kitchen or bathroom a beautiful, new look in as little as 2-3 days! Loose, hollow, or broken tile, or even missing grout lines can all be repaired prior to the refinishing process. Refinishing your tile and grout will leave you with durable, beautiful, and much easier to clean surfaces in your kitchen or bathrooms. 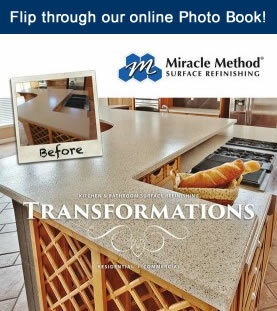 If you’re interested in saving time and money with tile and grout refinishing, call Miracle Method at 855-212-7337 or find a location near you by clicking here!